The population of adults 65 and older is the fastest growing demographic in the United States. It is estimated that by 2030, drivers over 65 will represent a quarter of total driver fatalities. When comparing the crash rates per mile driven of various age groups, the data resemble a U-shaped curve. Young drivers have the highest crash rate, which drops as drivers leave their teens. After age 25, the crash rate remains low until around age 70 when it begins to increase again. This U-shaped trend on crashes per mile driven has been found in many studies in many countries. Given the increase in crash rates around age 70, there should be a significant safety benefit in identifying potential problem older drivers before they are involved in a serious crash. The driver licensing process is one potential point for an intervention. 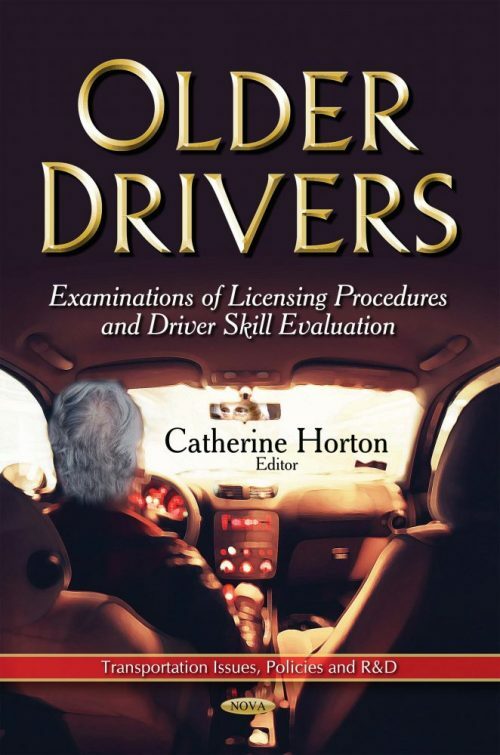 This book discusses the examinations of licensing procedures and driver skills evaluation in relation to older drivers.